Sunlight is illuminating the figures through the large window. 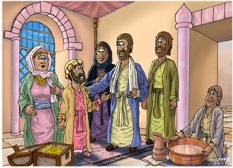 01) (Previous page) Luke 19 – Zacchaeus the tax collector – Scene 07 – Salvation has come (Version 01). This scene has sunlight streaming in through a large window behind the figures. 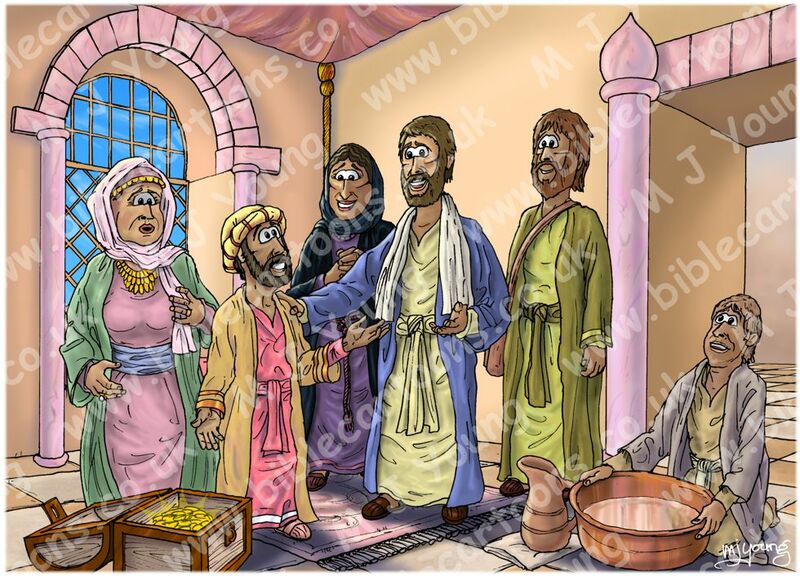 02) (This page) Luke 19 – Zacchaeus the tax collector – Scene 02 – Too short (Version 02). The sun’s rays from the window are absent, as are the strong shadows on the figures. In all other details it is identical in content.